Brace yourselves, Gilmore Girls fans, this is going to be a biggie: Based off of a tweet posted by the now-confirmed Gilmore Girls revival star Milo Ventimiglia, it appears very possible that Sutton Foster's name is on the Gilmore Girls revival cast list — meaning, she could be involved in the series. Now, it's important to note that this is just a theory, and is fully based on a little technical digging from Ventimiglia's tweet of his official Gilmore Girls revival script. But, still — a theory is a theory, and I feel when it comes to Gilmore Girls, it's important to share. Update: Sutton Foster has now been confirmed as a cast member in the Gilmore Girls revival series, according to TVLine. Earlier:Specifically, the tweet from Ventimiglia included a photo of the script, along with confirmation that he was officially returning to the revival as Jess, Rory's love interest. But paper is thin, my friends — and Photoshop is powerful. In the original photo, a few words on the second page of the script are visible through the cover page — but they're not really easy to read with the naked eye. However, with a little bit of contrast adjusting in any photo editing app, those words on the next page become even more obvious... and it becomes clear that page two is a cast list. Then, it becomes clear that one of the names that seems to be front and center on the cast list looks a lot like Sutton Foster's name. Of course, nothing has been confirmed yet. There hasn't even been a whisper about whether Foster will be in the revival — I'm just saying, in this picture, it looks sort of like her name. 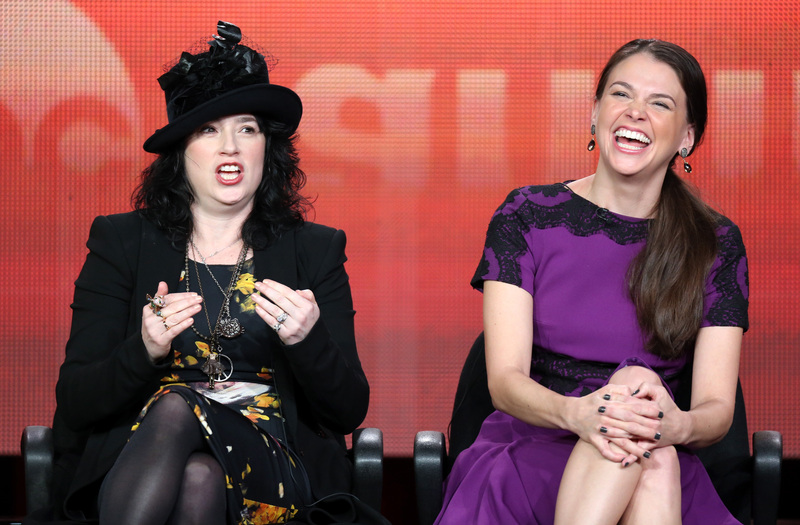 Also, when you think about it, Foster starring in a series created and helmed by Amy Sherman-Palladino wouldn't be unheard of: After all, Foster's last project before her current series Younger was called Bunheads, and it was created by the one and only Sherman-Palladino. Missed it? What about now? It's worth noting, though, that Foster's Instagram account places her thousands of miles away from the Gilmore Girls set in Los Angeles — specifically, squarely in New Zealand and Australia these days. In fact, her most recent picture, posted about a day ago, is of her in front of the Sydney Opera House in Australia. I mean, this geographical information doesn't necessarily rule out her involvement in the show — she could have already filmed her parts or be planning to film when she returns from her trip — but it's still something to consider when thinking over this theory. Either way, there's no way to tell for sure because nothing has been officially announced. All I know is, in Ventimiglia's photo, that name looks a lot like hers.